G.4 CRYO is super strong with an icy peppermint taste to cool you down. The slim, all white portions fit perfectly under your lip and won't stain your teeth. G.4 CRYO has a stinging almost burning peppermint taste. When you think you can't stand the burning effect any longer, the cooling sensation will bring you down again. Spearmint and a hint off vanilla give this ultra strong snus just the right sweetness without dominating the spicy mint taste. 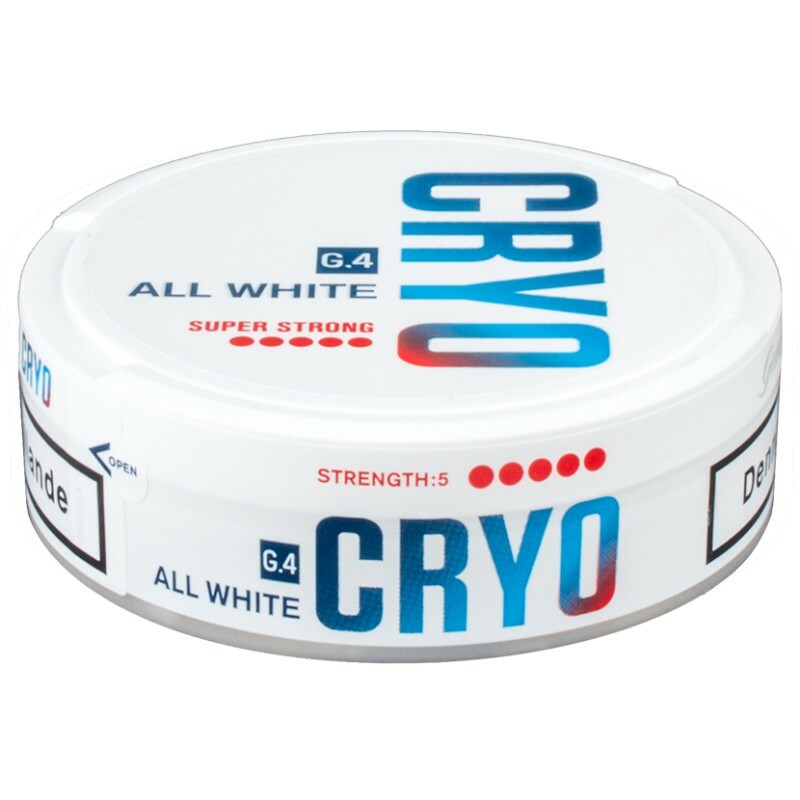 As All White snus, G.4 Cryo is white before during and after use and will fit comfortably under your lip thanks to the popular slim format.